Show your support for PA nonprofits, get to know your customers (both current and future! ), and have fun doing it by sponsoring the 2018 Collaborative Conference. This event brings together more than 400 nonprofit leaders from all over the state to learn, network, and share in building stronger communities across our commonwealth. They also come eager to meet our for-profit partners who can provide them with specialized services and support while helping to advance their missions – so if you’ve got a unique service, product, or partnership opportunity to offer the nonprofit community in PA, this is the place to be. Ready to get involved? Check out this year's sponsorship and exhibitor opportunities! Does the state of funding in the nonprofit sector keep you up at night? Ever get yourself worked into a tizzy over the injustices running rampant in the world? Feel like no one else will ever understand your campaign for Oxford Commas in nonprofit marketing language? Fear not, Vu Le gets you. Vu Le (“voo lay”) is a writer, speaker, vegan, Pisces, and the Executive Director of Rainier Valley Corps, a nonprofit in Seattle that promotes social justice by developing leaders of color, strengthening organizations led by communities of color, and fostering collaboration between diverse communities. 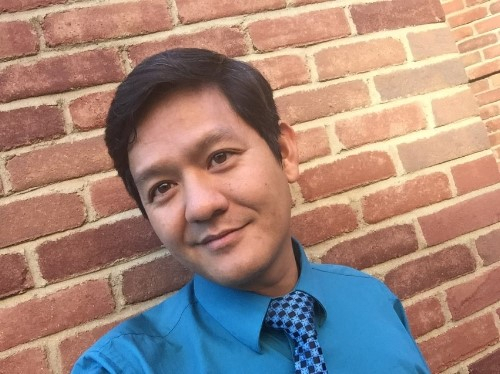 Vu’s passion to make the world better, combined with a low score on the Law School Admission Test, drove him into the field of nonprofit work, where he learned that we should take the work seriously, but not ourselves. Intrigued? Never heard of Vu? Want to know more about Oxford Commas? Read up on his blog and stay tuned for further announcements about Vu’s keynote address at the Collaborative Conference on Thursday, October 4. Each year, the Community Action Association of Pennsylvania’s (CAAP) Self-Sufficiency Awards recognize significant accomplishments and hard work of the award winners while showcasing how Community Action Agencies support an individual's path toward self-sufficiency. This year, in conjunction with the 2018 Collaborative Conference, the Self-Sufficiency Awards ceremony was held in State College, PA on October 4th, 2018. CAAP honored 20 individuals with the full Self-Sufficiency Award and recognized seven Community Action clients who demonstrated excellent progress towards self-sufficiency. During the SSA ceremony, we learned about how these individuals found themselves in financial uncertainty, the role Community Action played during their journey back into the middle class, and their vision for the future. If you have any questions, feel free to contact Steven anytime at 717-233-1075 or steven@thecaap.org. Click here to read a curated list of stories to self-sufficiency.